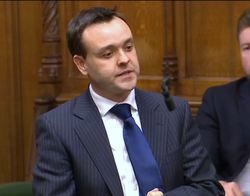 Stephen McPartland was elected to the House of Commons as Member of Parliament for Stevenage in 2010 and re-elected in 2015 and 2017. In Parliament, Stephen holds a number of roles. In 2017 he was elected as Chairman of the Regulatory Reform Select Committee, so becoming a member of the Liaison Select Committee, and also remains a member of the Finance Select Committee. Up until his election as a Select Committee Chairman, Stephen was also actively involved with the running of several All Party Parliamentary Groups (APPGs), including as Chairman of the Respiratory Health APPG and Vice-Chair of the Disability APPG. Stephen is very outspoken on welfare issues and is considered an expert on the technical changes, leading the successful campaigns against changes to Tax Credits and protecting the self employed against changes to Employers National Insurance Contributions. 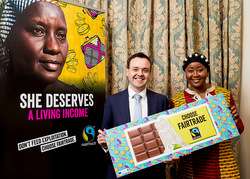 He does work closely with Government to deliver change and has succeeded in delivering a number of legislative changes, for example, asthma inhalers being made available in school first aid kits in 2014. Stephen has a range of policy interests, including the application of technology. Stephen has worked closely with with Rt Hon Sir Oliver Heald to campaign for Finns Law, to provide our emergency service animals with greater protection after Police Dog Finn was stabbed in Stevenage.